Finally some good news. 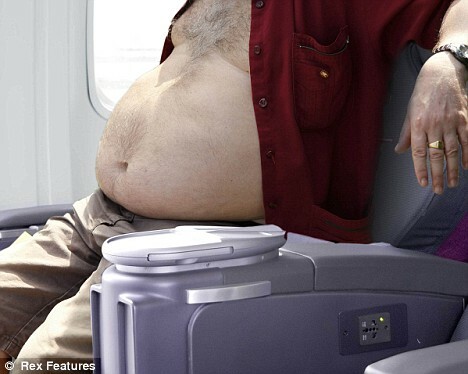 Canada has ruled that fat people do not have to pay for two airline seats. Thank you Canada. I will probably fly up for some free health care after the holiday eating season is over in January. I normally get two meals for my trips so I expect this practice to continue. I know this is going to upset some of our readers who pay $15 per bag to shove in a 2×2 foot bin. Just because you pay for excess baggage does not mean that I have to pay for my excess personal baggage. You can leave that extra pair of shoes at home. My extra 250lbs is coming with me. Keep getting angry because I’m probably going to spill over to the third one you will be forced to sit in. I love to fly and it shows.